Our workshops are designed to emphasize personalized attention with a maximum of 6 participants. For the 2019 season accommodation is not included with the workshop Our landscape workshops generally features a 3 hour sunrise shoot, 4 hours of classroom lessons and hands on help, and 3 hours sunset shoot. Weather and light may change our shoot times and duration. For our Night Sky workshops we are out shooting most of the night and processing in the afternoons. Plan to arrive after lunch on the day of the workshop. If you are flying in you may want to arrive a day early On the first day we’ll prepare you for either that evening’s or the next morning’s shoot. Our daily schedule will be built around the photographer’s most important ally: light. This means we will be up before the sun and at location (which could mean rousing out of bed as early as 4am on the summer solstice). When you are on this kind of schedule it’s important to stay fueled so we encourage you to bring some light snacks: don’t let a growling stomach distract you from great light. After lunch we will settle down for some lessons in digital developing with Adobe Lightroom and Photoshop. 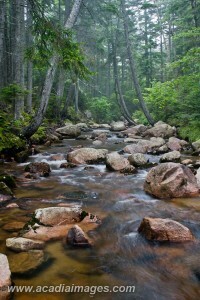 Spruce trees lean over a boulder filled brook, best photographed on an overcast day. 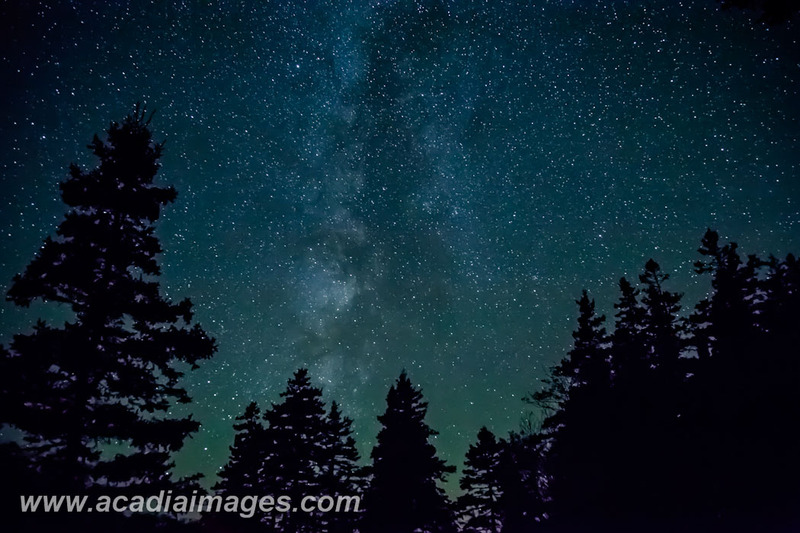 The middle of the day is usually too harshly lit for landscape photography and we encourage you to experience the culture and sights of Bar Harbor, or enjoy the National Park during this time. 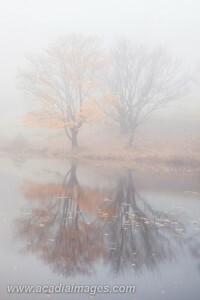 If we have some quintessential foggy Maine weather we may forgo the sunrise and head out during a brighter part of the day to take advantage of the soft, even lighting. Our evening shoot time will once again depend on the sun. The later part of the afternoons we will regroup and head out to explore the location. In late June the sun sets far to the north at about 8pm. It’s a great time to go to destinations farther afield, knowing that the walk home will be in the dark but can be taken slow. Typically we start with a half-day in the afternoon and end the workshop with a morning shoot and a few hours of post-processing on the last day. A 2-day course will be a combination of two afternoon/evening sessions and two sunrise/morning sessions. Likewise the 3-day course features three mornings and three evenings. Some of our workshops vary from this format and that information can be found in the full course description. Refund Policy: We offer a full refund minus processing fees (if applicable, e.g. Paypal fees) for cancellations 60 days or more prior to workshop. Please inform us as early as possible of you can not attend as planned. Cancellation 60 days or less prior to the start of the workshop the registration fee is non-refundable but may be credited toward a future workshop. There is no refund for ‘less-than-ideal’ weather: all weather can make great images. Moderately fit. Walks of approximately 1 mile are possible, though the uneven terrain of the coastal ledges is much more challenging. 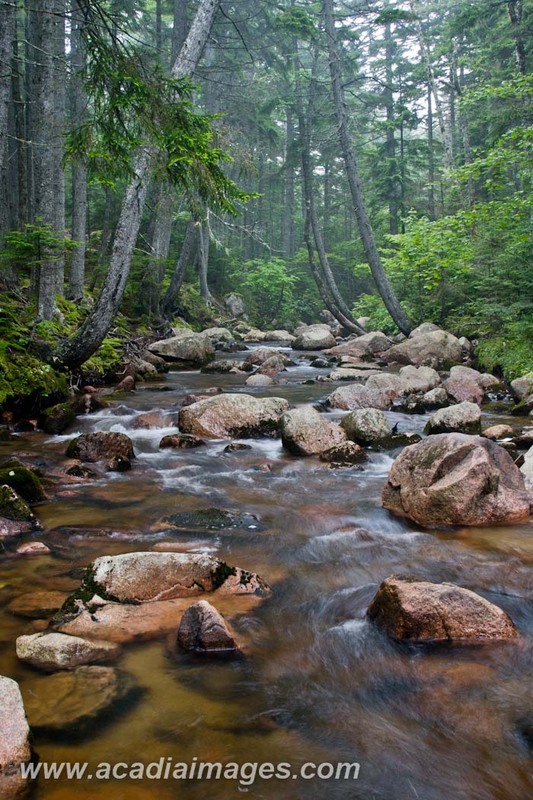 An overview of the environmental diversity found in Acadia National Park. Transportation. We suggest car-pooling and can help coordinate. The park offers a free shuttle bus, but it does not run on a photographer’s schedule. Entrance fee to the National Park $25/7-day car pass. Guarantee of ‘good’ weather. 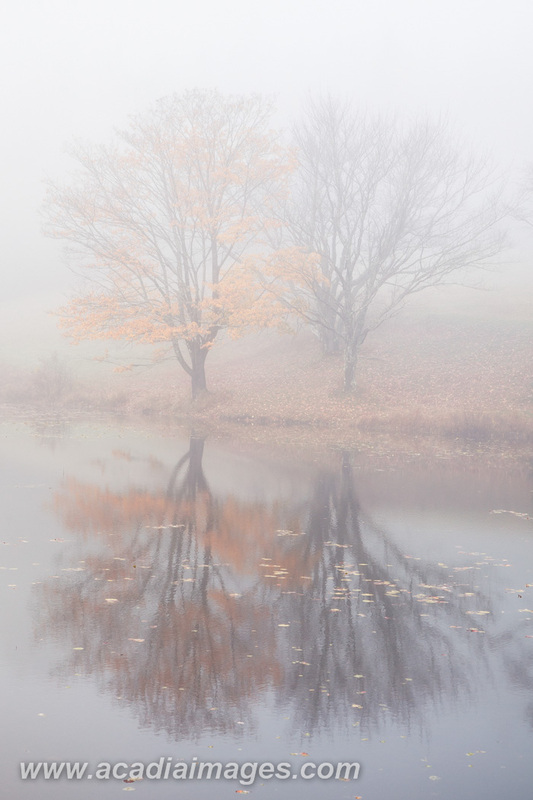 There is always something to shoot in Acadia, rain or shine.